Ryan Kent has improved a lot since he joined Rangers on a season-long loan. The English winger started slow but is now an integral member of the first team for Gerrard. 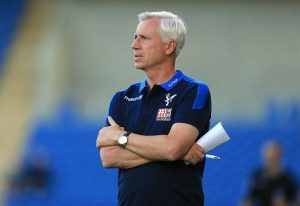 Therefore there is no doubt (atleast to us) that the gaffer would look to sign him permanently in the upcoming summer transfer window. His chances could be boosted further as reports from the Scotsman suggest that Liverpool are on the lookout for new wingers including Chelsea’s Hudson Odoi and that could mean that the Merseyside club might want to sell Kent in the summer. Kent’s impressive stint has been rewarded with a nomination for the club’s Player of the Year award. We expect Alfredo Morelos to take the title at the end, but a nomination itself is a testament to the kind of impact the English winger has had this season. Gerrard is said to be keen on extending Kent’s stay, but it remains to be seen how much the Premier League leaders demand for the winger. The 22-year-old is contracted to stay at Anfield until 2022. Therefore one wouldn’t blame the Reds if they ask for a sizeable fee in the summer. Moreover, Rangers seem to have a decent amount of depth in the left wing spot. One shouldn’t forget that Jamie Murphy would be back available next season and he would look to impress after his first season in Glasgow was ruined because of injury. Rangers have also agreed on a pre-contract deal with Jordan Jones, so the Kilmarnock winger will also make his way to Ibrox. Reports are also suggesting that the Gers are in prime position to sign Jake Hastie who has caught the eye of everyone in the last few months where he has been impressive for Motherwell. To go with that, they already have Glenn Middleton at the club. So the club might want to think twice before spending £4-5m on Kent even though he is having an impressive season at Ibrox. Kent’s most significant improvement has come in the final third as he is starting to deliver goals and assists regularly. He always had that pace and skill in him which saw him go past defenders easily, but often the Liverpool winger struggled to come up with the final product. That bit of his game has improved as he has got regular playing time under Gerrard. The English winger has also indicated enough times that he would like to continue with the Bears. With Liverpool in search for new wingers, Rangers’ chances of landing him has definitely improved. Arsenal Targeting This 26-Goal Chelsea Striker: Can Wenger Pull This Off? 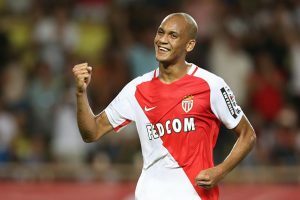 Manchester United’s Long Term Target Set To Leave AS Monaco: Should Mourinho Step Up Interest? Everton Players Rated In Their Disappointing Draw Against West Brom: Debutant Walcott Gets 8! Sunderland Part Ways With 30 Y/O Former PL Midfielder: Will The Black Cats Miss Him?